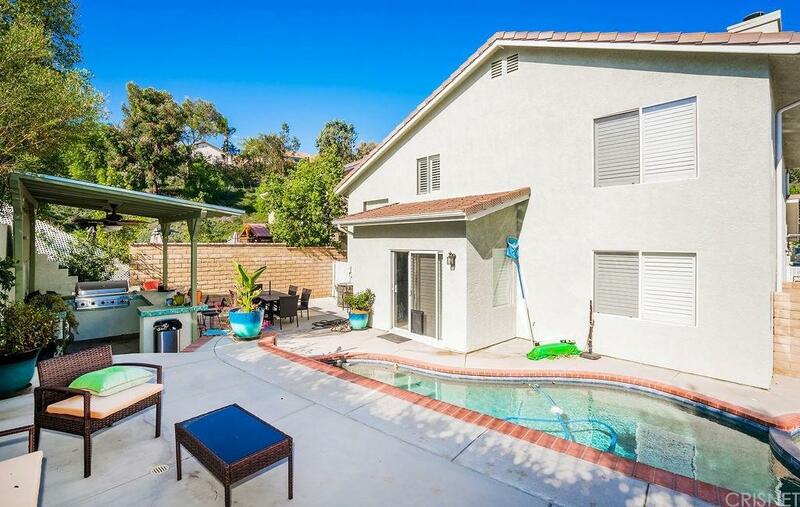 Gorgeously remodeled pool home perfectly located at the end of a cul-de-sac in Hillcrest Park Castaic. Impressive kitchen with light colored high-end granite counters, stone backsplash, stainless appliances & custom granite breakfast bar. Upgraded oversize tile downstairs, wood on stairs & upstairs area. Shutters & nice neutral paint throughout. PebbleTec pool/spa with large deck area & covered cook station. Very nicely done. 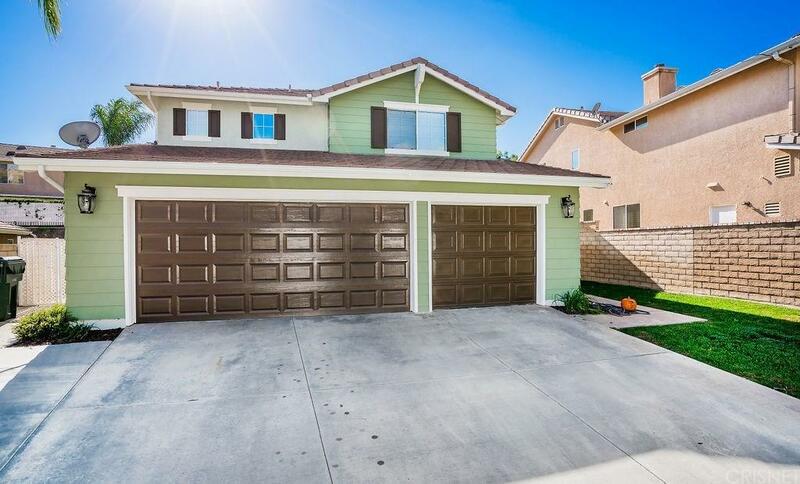 Excellent curb appeal with newer exterior paint & garage doors. 3 car garage with potential boat parking on the side. 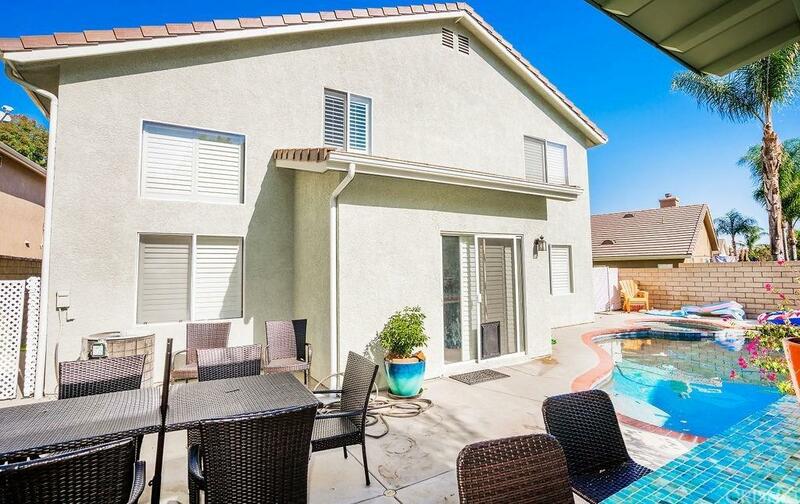 Open floor plan with soaring ceilings, full bed & bath down + 3 up. Sharp! 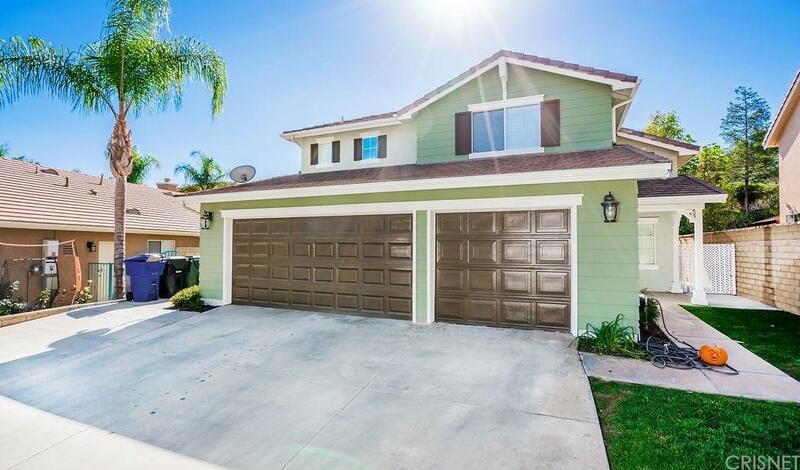 Sold by Mark Allan BRE#01107376 of Re/Max Of Valencia.